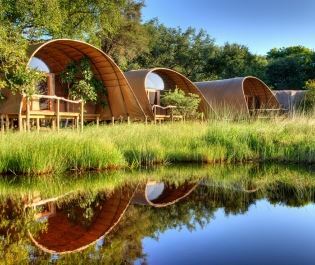 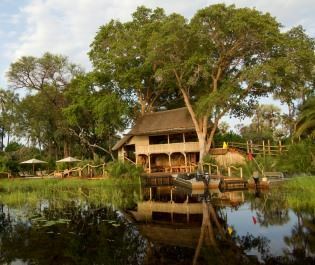 Settled amongst towering ebony and sausage trees in the Okavango Delta, Sanctuary Stanley’s Camp adds a touch of opulence to a classic safari camp. 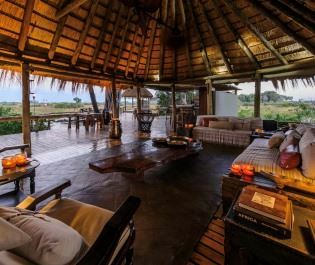 Our favourite part of this gorgeous luxury property is the Living with Elephants interaction, allowing you to leisurely walk alongside semi-habituated elephants as they go about their daily stroll. 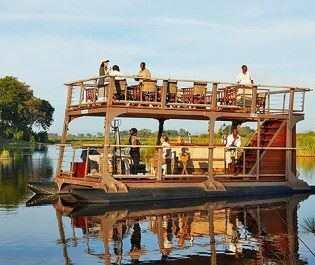 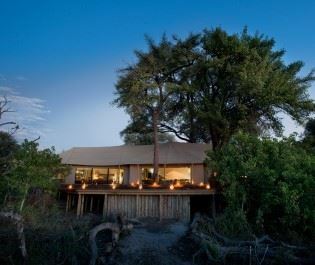 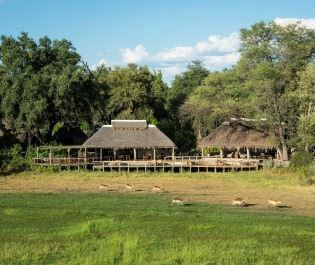 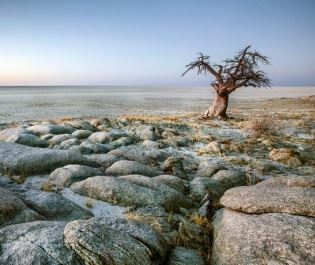 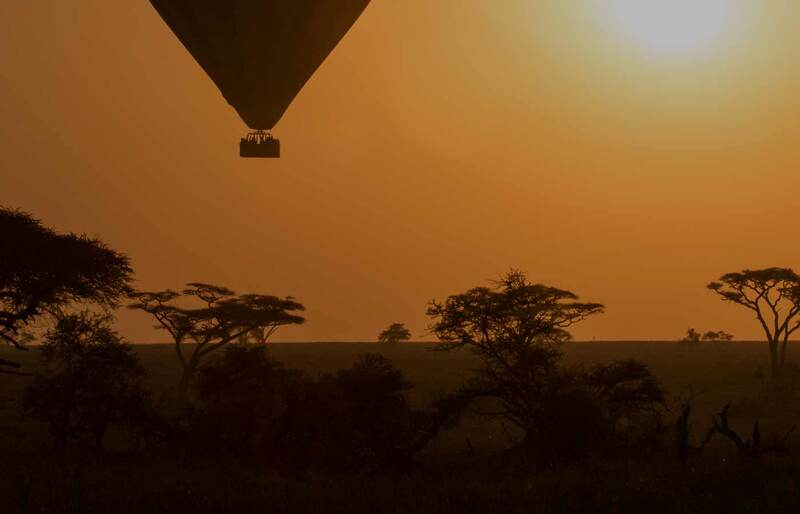 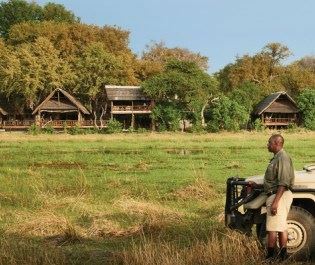 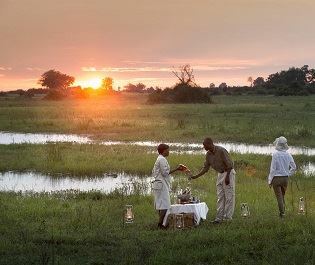 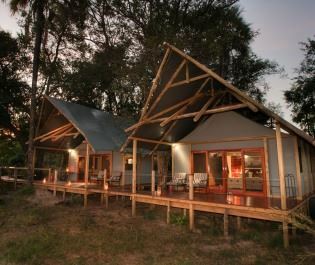 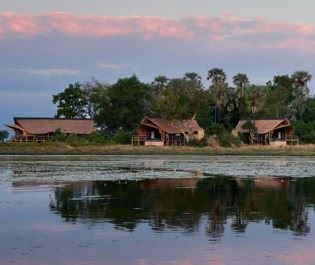 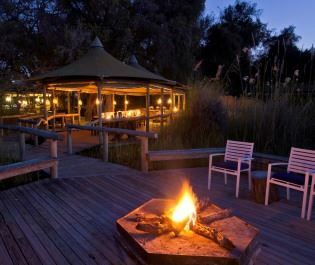 Nestled within a 260,000-acre concession right by Moremi Game Reserve, its location adds even more excitement with the prospect of walking safaris, night drives and seasonal mokoro excursions. 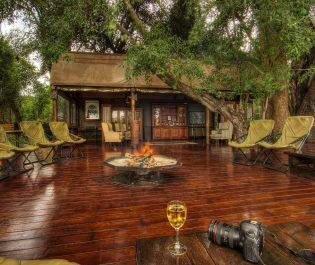 Relax by the pool and watch as elegant giraffe saunter past, spot the raucous of a hyena den close to the camp, and embark on great adventures full of more incredible wildlife sightings. 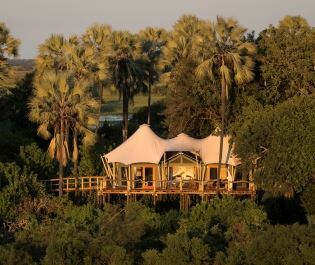 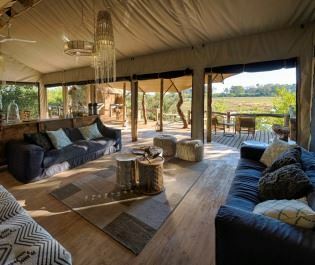 There are only eight tents altogether, ideal for those hoping for an exclusive feel. 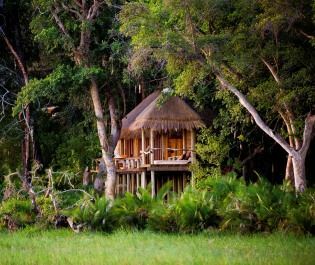 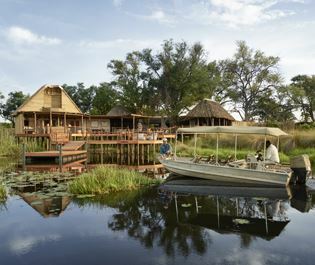 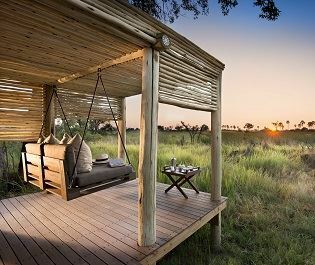 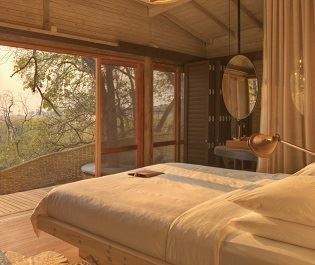 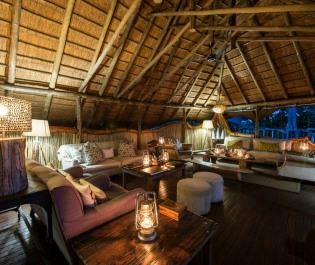 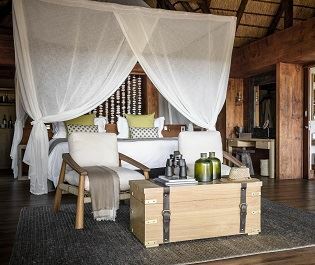 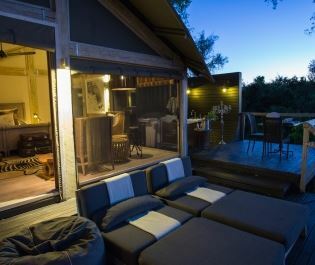 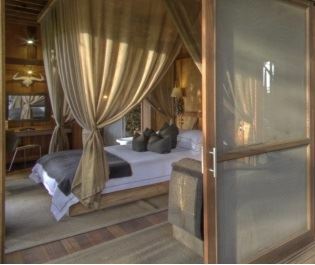 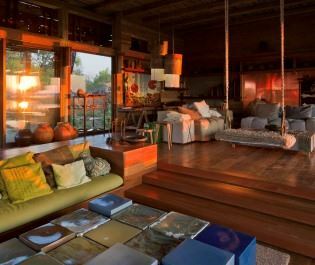 Overlooking the Okavango floodplains, each luxury tent is hidden under an African Ebony tree, boasting individually designed interiors fused with amazing African antiques, and featuring a wooden deck adorned with a hammock. 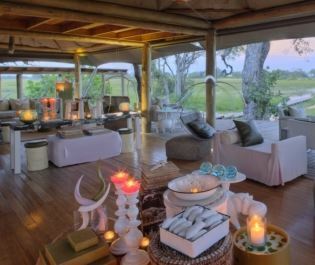 Dining is a tantalising experience here at Sanctuary Stanley’s Camp. 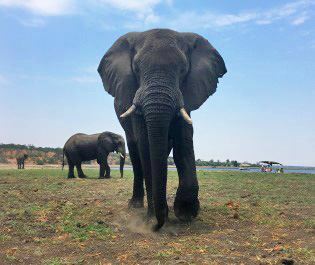 Brunch in the bush with Jabu and Morula – the two rescued orphaned elephants that will join you on the Living with Elephants interaction, or indulge in a (seasonal) water lunch – a buffet style feast that you can enjoy whilst sitting with your feet in the Okavango Delta.